12 inch contains 4 live tracks and is 1/3 of the erasure live (in hamburg) series. 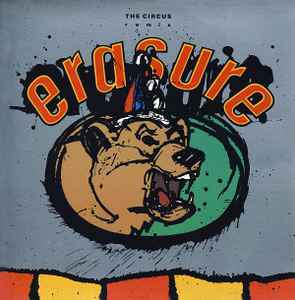 over the next few weeks erasure will be releasing a further two 12 inch singles each containing 3 live tracks plus a bonus, extended remix of the circus. Some copies of this 12" promo came with 4 inserts: 1. 'Club Preview UK' press release, 2.Reaction Response Form for 'Erasure "The Circus", 3. 'Pop Dance Chart' form & 4.A promotional A5 (approx) flyer promoting the various releases of 'The Circus' 7" , 12" & 2 further 12"